Greene County Career Center’s passage of Issue 2 last November is a great example of how reputation, hard work, community support and perfect timing can lead to a true transformation of how education is provided to a community. The construction of a new career center will be completed in time for the opening of the 2020-21 school year and will serve as a solid foundation for workforce development in Greene County for decades to come. The idea for a new facility began four years ago. Superintendent David Deskins was pacing about his office in a brainstorming session and wondered aloud if the center should expand into career pathways tied to Wright-Patt and its affiliated contractors. While the obvious answer seemed to be “yes,” decisions regarding school curriculum and programming must be based on data, not gut feeling. Input was solicited from a number of community leaders, some with many decades of experience in leadership roles within the public and private sectors. They unanimously agreed that the concept should be further researched. A grant was secured from the Ohio Department of Development and a job market study was executed by the Greentree Group in Beavercreek that showed the job market lacked trained workers in areas tied to the aerospace and aviation industry. It identified cybersecurity, engineering technology, drone technology, and automation and robotics as key markets. The data also showed the need was for technicians and the jobs would require technical training but not necessarily a bachelor’s degree. One major strength of career-technical education (vocational as we used to call it) is its flexibility and willingness to adapt to an evolving job market. During the campaign for Issue 2 we stressed repeatedly that we were expanding our programming while keeping all of our current offerings. Enrollment has been strong in recent years due to the fine work of all of the center’s teaching staff and their commitment to preparing high school juniors and seniors for the workplace. Sometimes thousands of hours of research, planning and execution go into a levy, whether it passes or not. Greene County Career Center is blessed to have an alumni base that has mostly remained in the local area and understands the value of hands-on, career preparation. Employers in the region respect the work that goes on in each classroom readying young people for careers. Parents are becoming more aware of the cost of higher education and the abundance of jobs in the technical fields offered by Greene County Career Center. Chambers of Commerce promote the mission of career-technical training as it supports its members in search of qualified employers. Greene County Career Center’s 51 years of exemplary service to the community and foresight of past and current board members and administration led to a historic opportunity that will change the landscape of technical training in the region. The new facility will be a true source of pride and affirm to the rest of the state that Greene County is committed to its future by providing young people the tools they need to be successful. 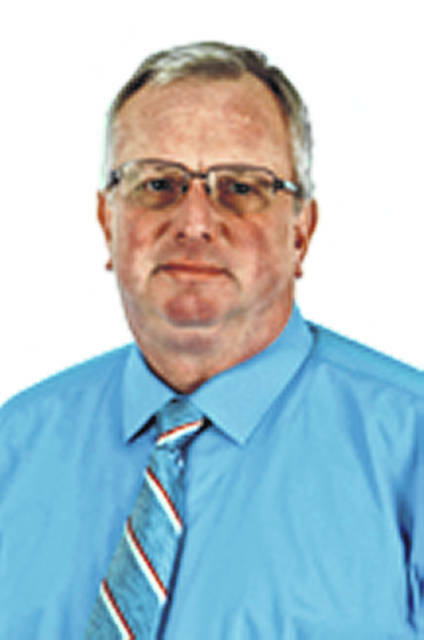 Ron Bolender is the public relations representative for the Greene County Career center and guest columnist.